Esri Training continues its digital transformation with a new initiative: students at Esri training centers will now receive only digital workbooks in their classes. Students taking instructor-led Esri Training courses will now receive only digital workbooks in their classes. Color: For years, one of the enhancements most frequently requested by students has been to replace black-and-white coursebooks with color books. When working with maps, users want to see them in color, of course! But producing thousands of printed color coursebooks every year is expensive. With digital books, Esri Training can finally provide the materials in color. Productivity tools:Printed books are wonderful to hold and flip through, but digital books have great features, too. For example, bookmarks allow users to jump directly to lesson pages, and learners can quickly search the content for specific words and phrases. Users can also highlight text and add digital notes. That makes it easy to find important information after the class is over, when participants are trying to remember how to complete an ArcGIS task or workflow back at the office. Up-to-date materials: In the past, Esri software releases occurred every couple of years. Today, releases happen quarterly. 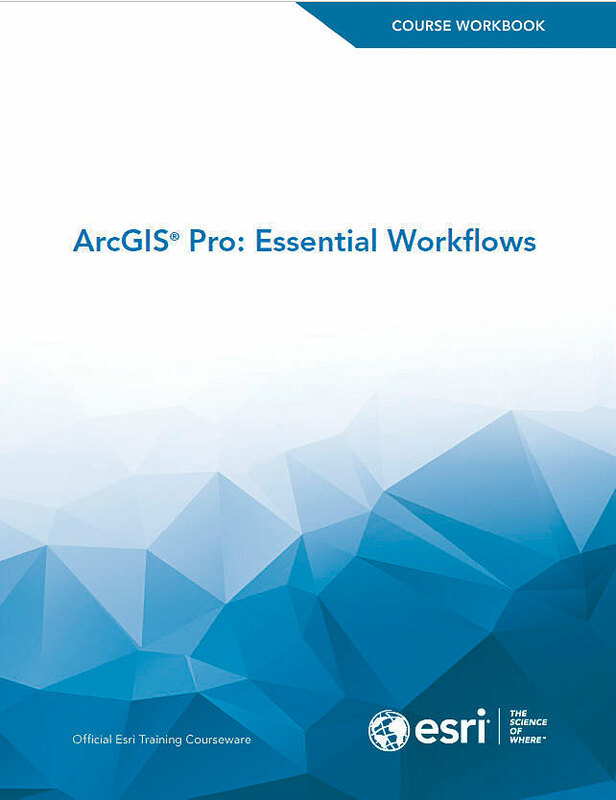 This cycle is great for providing new and improved functionality to Esri’s customers, but it makes it very challenging to keep training materials up-to-date. With digital books, Esri will be able to update content much faster. Reduced environmental footprint: As a company committed to sustainability and smart planning, Esri feels a responsibility to conserve resources wherever possible. Digital books offer yet another way for Esri and its users to preserve the environment. Cost savings:Recognizing that many organizations have limited training budgets, Esri strives to offer affordable, competitively priced products. Adopting digital coursebooks will produce savings that will help keep the cost of instructor-led training as low as possible. With digital books, Esri Training can finally provide maps in color. Digital coursebooks are the latest in a long line of digital moves for Esri Training. In 1997, Esri launched Esri Virtual Campus, one of the first commercial websites devoted to teaching GIS topics and technology online. Web courses were a relatively new phenomenon in the late 1990s but quickly gained a following, especially in the higher education community. Virtual Campus web courses were so popular that Esri decided to virtualize the in-person seminar experience by launching live training seminars in 2001. These are hour-long, free, online seminars on technical topics. Those also proved to be—and remain—popular. The instructor-led online classroom was introduced in 2004. Shortly afterward, the Great Recession hit, and many GIS professionals found themselves grounded, unable to travel to attend a training class. 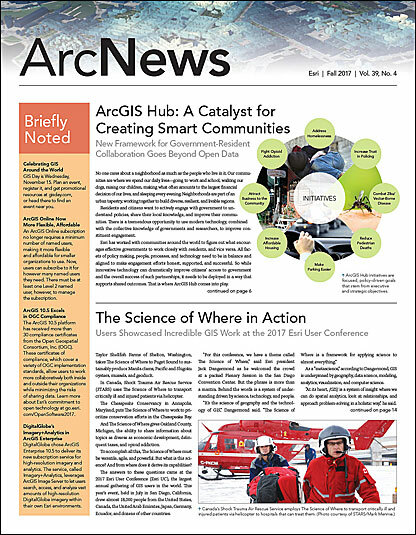 For several years, the online classroom was the only viable option for many Esri customers to attend instructor-led training. Today, the online classroom is just as well attended as Esri’s traditional classrooms. In 2016, Esri Training redesigned its website, doubling the size of the e-Learning collection to include new formats and durations. So digital is already a huge part of what Esri does. Plus, online classroom students have always received digital coursebooks. Feedback from those attendees has helped Esri understand which digital features are most valuable, both during class and afterward, back at the office. Classrooms will feature dual-monitor workstations for each student. To ensure that students continue to have an excellent classroom experience, Esri is adding a second monitor to each classroom workspace as well. Students will be able to view the digital coursebook on one monitor while following the course presentation and interacting with Esri software on the other monitor. At the beginning of class, students will download their digital coursebook from the Training website and annotate it as desired throughout the class. At the end of class, students will upload their annotated coursebooks to the Training website. Back at the office, the coursebook can be downloaded to a local drive and easily referenced at any time.